According to CBS Boston Local, a 39-year-old man has been arrested following his involvement in a Mattapan car accident that resulted in the death of a 46-year-old woman. Prosecutors have said the suspect was driving at a high rate of speed when he came upon the victim who was standing in the crosswalk trying to make her way across the road. Prosecutors have further said the defendant hit the victim while she was in the crosswalk. After allegedly hitting the victim, the driver stopped very briefly and then fled the scene of what turned out to be a fatal drunk driving accident.The police put out a BOLO (be on the lookout) for the suspect, but he later turned himself in to authorities to take responsibility for allegedly hitting the woman and killing her. One of the witnesses to this accident had been riding a motorized scooter and had a GoPro camera running at the time. Prosecutors have said that at least part of the fatal Mattapan drunk driving accident was caught on his camera and will be used as evidence in this case should it go to trial. In addition to operating a motor vehicle under the influence of alcohol or drugs (OUI), defendant was also charged vehicular homicide and other related motor vehicle criminal charges. Family members of the victim seemed upset that his bail was only set at $5,000; however, it is likely they judge did not consider him a significant flight risk given that he turned himself to police. Even though he allegedly fled the scene initially, judges will often take into account the fact that someone turns themselves in rather than continuing to evade authorities. It is important to understand that even though he has been arrested, he has not been convicted of any crime in connection with this alleged fatal Mattapan drunk driving accident and is presumed innocent unless and until he is found guilty in a court of law by a judge or jury beyond a reasonable doubt. During the bail hearing, prosecutors noted that he was arrested in 2001 on suspicion of drunk driving, but those charges were dismissed. One of the reasons that drunk driving accidents in Boston are different than other types of accidents is because the driver is typically arrested by police if they have sufficient probable cause to conclude that he or she was likely driving under the influence of intoxicating liquor or drugs. This means that there will be a much more thorough police report, and possibly a plea or even a trial. 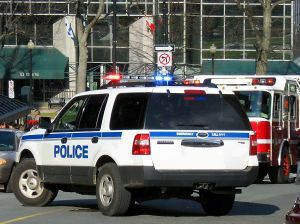 If the defendant pleads guilty to drunk driving in connection with an accident, it will be much more difficult for his or her insurance company to later deny any claims of liability. However, you should speak with your Boston drunk driving accident lawyer before making any statements to prosecutors or insurance companies. The reason for this is because, while prosecutors are interested in securing a conviction in the criminal case against the defendant, that does not mean they are interested in making sure you get a full and appropriate financial recovery for your total losses.